SHAG HARBOUR, N.S. 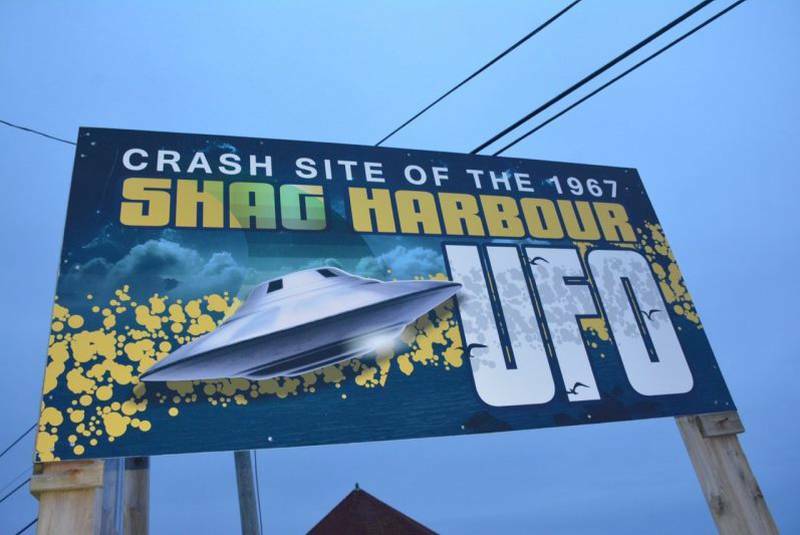 – Tickets are now available online for the 2018 Shag Harbour UFO Festival, being hosted on Aug. 3 to 5 at the Sandy Wickens Memorial Arena on Sherose Island in Barrington Passage. This year’s festival marks the 51st anniversary since the Oct. 4, 1967 incident, which is regarded as the best documented UFO case in Canada. Besides the presentations and panel discussions on tap at the arena over the three days, the festival also includes bus tours to the ‘hot spots’ in the Shag Harbour area and new this year, harbour boat tours of the crash site and area. Guest speakers, media personalities and presenters “composing of some of the top minds in the field of ufology and research, along with witnesses to the impact, and other people who were involved with the search effort on the night of Oct 4, 1967 and the days following” will be presenting during the conference, states the festival website. The festival starts Aug. 3 at the arena at 5:30 p.m. for the conference welcome, announcements, introduction of speakers, the Shag Harbour UFO Witness Panel and a presentation by Cape Sable Island fisherman Rodney Ross about his sea monster experience. Renowned Shag Harbour UFO incident researcher Chris Styles will get things going at the festival conference on Aug. 4 followed by Chris Rutkowski, a Canadian science writer, educator, and consultant for the Winnipeg Paranormal Group who has been writing about his investigations and research on UFOs since the mid-1970s. 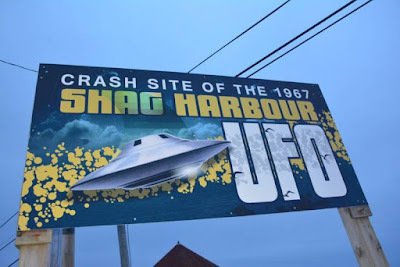 “1967 – The Year Canada Was "Invaded" by UFO's including Shag Harbour in Perspective” is the title of his presentation. Also taking the podium is Palmiro Campagna, a professional engineer with the Department of National Defence in Ottawa. His online bio reads: “He has acted as the Canadian representative to NATO in the area of electromagnetic environmental effects in Canadian military aircraft. He is currently involved in (an) internal project review. He has written the books … from previously classified Secret and Top Secret government documents, obtained through access to information.” Campagna will speak about the Avro Arrow and Other Ufology. Ted Roe, co-founder and CEO of the U.S. based National Aviation Reporting Center on Anomalous Phenomena (NARCAP), is also scheduled to speak. NARCAP is a non-profit organization “dedicated to the documentation and analysis of aviation safety-related encounters with Unidentified Aerial Phenomena or UAP. NARCAP is an established authority on UAP and aviation-related UAP research,” states its website. Roe’s presentation is titled My Personal Perspective as an Experiencer and NARCAP. Presentations by film maker Paul Kimball, author Graham Simms as well as an experienced panel and guest speaker panel will wrap the presentations on Aug 4 and Aug. 5.